Let your trip of Ireland be as special and unique as you are! Create your own adventure and embark on a captivating discovery of Ireland’s Wild Atlantic Way and Ireland’s Ancient East, with a spectacular 15-day pass that takes you off the beaten track to unearth Ireland’s magical landscapes and spectacular adventure experiences. 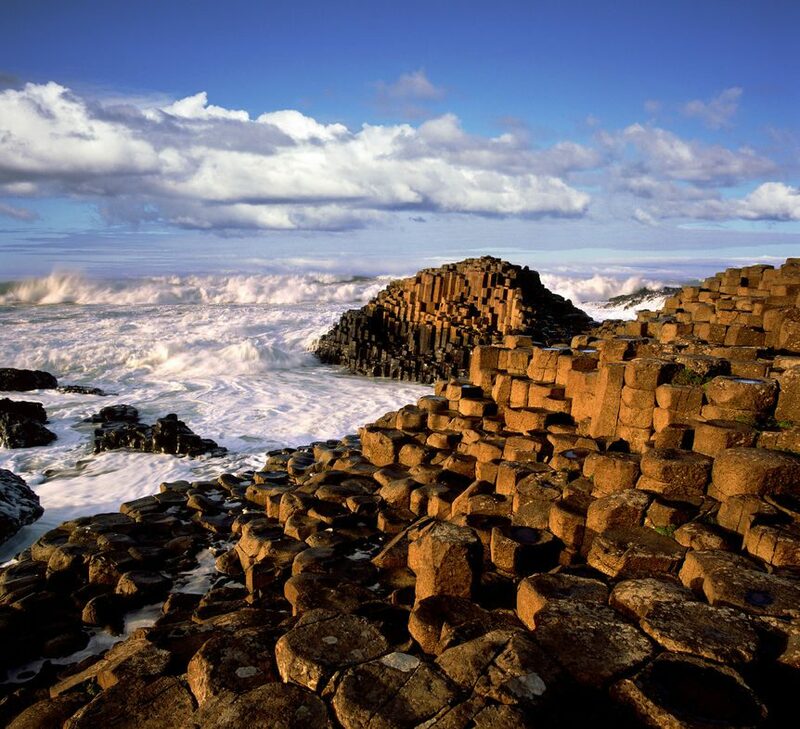 Our journey stretches from the wild Atlantic setting of Cork in the south to the Giant’s Causeway in the north. 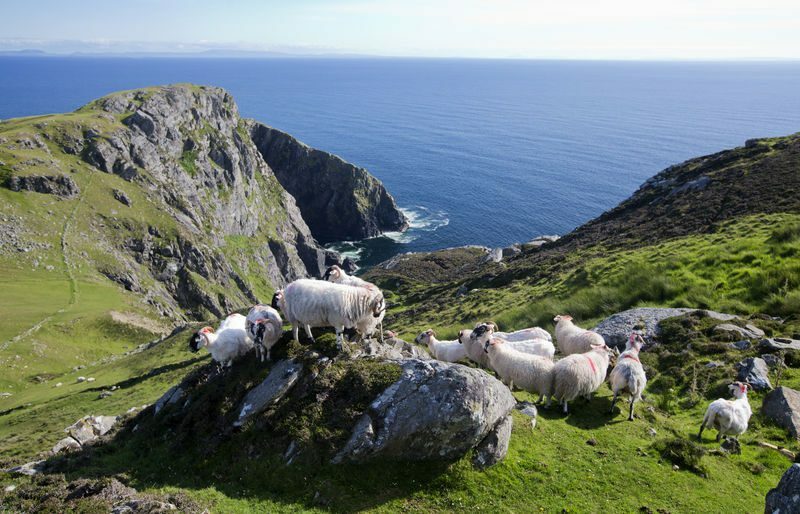 Discover the sheer magnificence of Ireland’s wild West coast from spectacular peninsulas, golden beaches to colorful villages and towns, a Gaelic culture that is intertwined with its vibrant history and traditions. You can take your time to explore and experience your favorite destinations in your own time and your way. Visit amazing castles, monasteries, wild islands and forts, learn about Celtic myths and legends, experience culinary delights and traditional music in vibrant pubs. If you want to add adventure to this mix, then why not try a kayak adventure on the wondrous Lakes of Killarney, summit Ireland’s highest mountain, Carrauntoohil, surf on the wild Atlantic Ocean, rock climb in the moon like surroundings of the Burren and many more exhilarating adventures on this magnificent discovery of Ireland’s complete Wild Atlantic Way. This unique hop on hop off tour of the Emerald Isle has something for everyone.Book your Wild N Happy Travel Pass today and join the Wild N Happy community around the world. DEPARTURE TIME 2PM – Please arrive by 1:30 PM for a prompt departure. The itinerary listed below is for the current season. Given the unpredictable nature of Ireland’s weather, what we do each day might occasionally vary so did you have the best experience possible. Departing fromThe Ashling Hotel, Parkgate Street, Arran Quay, Dublin 8 at 2PM.Your adventure starts off in Dublin, Ireland’s capital also known as the Fair city. Our direction is south to Killarney and the Kingdom of Kerry. After a bite of lunch, we will take a mesmerizing kayak tour on the Lakes of Killarney that journeys around the unique setting of Ross Island, where we explore unique limestone caves and an incredible 15th Century castle. That evening, you can experience Killarney’s great food offerings and vibrant musical nightlife. The Ashling Hotel, Parkgate Street, Arran Quay, Dublin 8. Today’s adventure takes you off the beaten track to unlock the real beauty of the world famous Ring of Kerry. Considered one of the most beautiful destinations to explore in Ireland, the Ring of Kerry offers dramatic landscapes of wild rugged coastline, golden beaches, glistening lakes, picturesque villages and spectacular mountain ranges.Even better, we will take you on an incredible tour of the spectacular Valentia Island where you can delve into its incredible history and heritage, explore its magical setting on the edge of the Atlantic Ocean and if you are lucky get a glimpse (weather permitting) of the dramatic Skellig Islands (Star Wars famed). After a well-earned bite to eat, we slowly make our way back to Killarney stopping off at many spectacular viewing points to learn of their historical importance and the opportunity to take that picture that will ensure an everlasting memory of paradise. Visit many quaint towns and village. Dingle is our destination today, as we explore this dramatic and beautiful peninsula that is littered with archaeological and historical wonders. Our first stop off is at Inch beach, famous for being the place where an inch is actually three miles long and where we take a short stroll along its golden sands and watch long rolling waves that come crashing ashore. Once aboard we head due west to the edge of Europe, also known as Slea Head. Feast your eyes on breathtaking scenery of wild rugged coastline, golden beaches and the magnificent Blasket Islands. 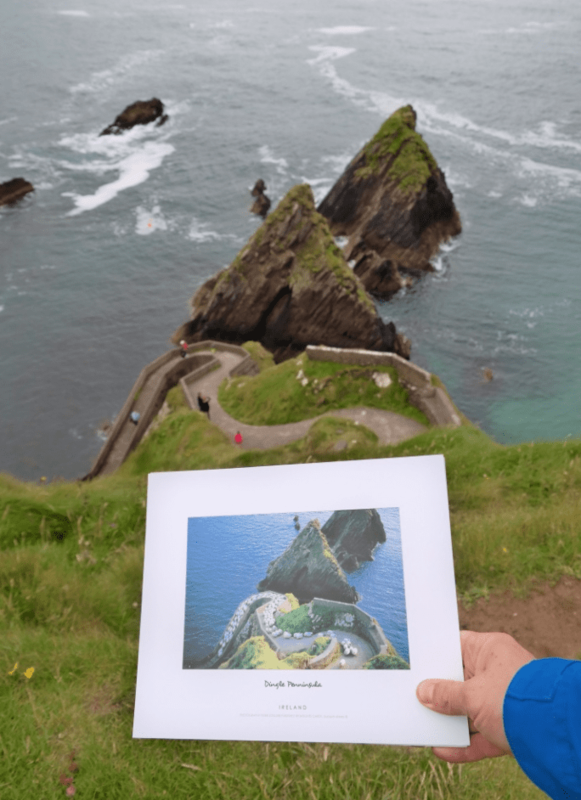 We continue our journey around this rich and vibrant peninsulas exploring its vast Gaelic culture and learning a cupla focal (some words) in Irish along the way. We will also visit Dingle town, a picturesque fishing town that is famed for Fungi the dolphin who has been a local for almost 30 years, before making our return journey to Killarney. Leaving Killarney we make our way north along the edge of Europe to the spectacular Cliffs of Moher in County Clare. 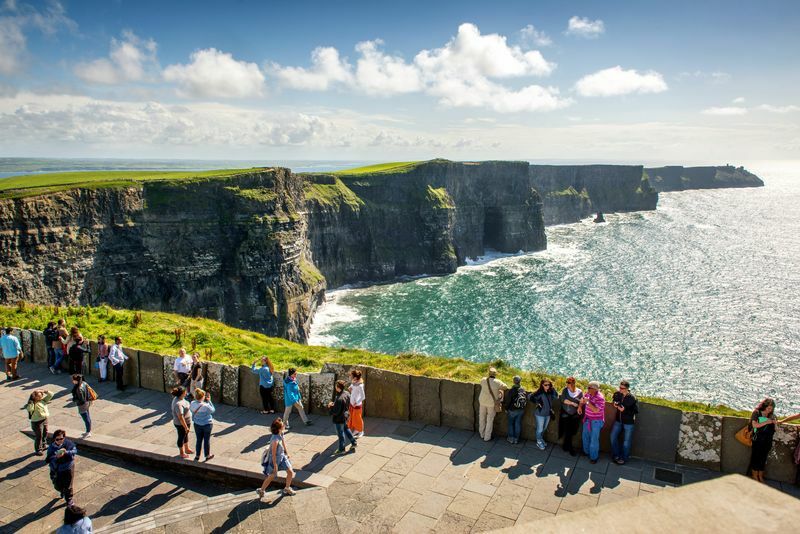 This ‘must see’ wonder of Ireland, the Cliffs of Moher, stretches for almost 10km and will capture your eyes and imagination as you gaze out in awe of its impressive setting. Take the opportunity to explore the fantastic interpretation centre that will show you how this marvelous creation was shaped by nature’s hand and learn about its unique geological makeup. That afternoon, we make our way to Doolin village, where we will overnight and a chance for you to experience great traditional music sessions, fantastic seafood and of course meet the locals. This morning we set off heading north towards Galway exploring the dramatic landscape and history of the wild Burren. Experience its unique ecosystem, the magnificent historical site of Kilfenora Cathedral and the spectacular Poulnabrone wedge tomb, which dates back to the Neolithic period. Along the way, cast your eyes over the remarkable moon-like terrain of the wild Burren and the Atlantic waves that roll into jaws of Galway Bay. You have the opportunity to visit the Aillwee Caves and Bird of Prey Centre or the quaint coastal village of Ballyvaughan before we head along the coast in search of the Bohemian capital of Ireland, Galway City. 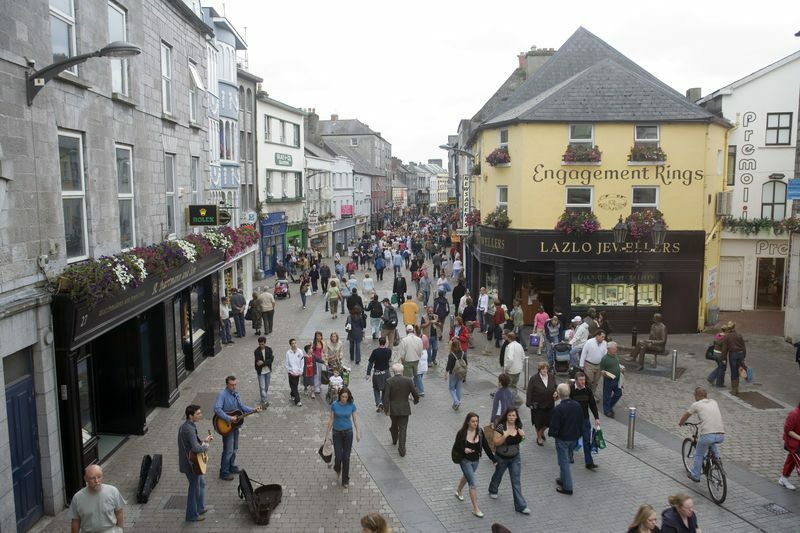 That evening take the opportunity to sample Galway’s famed culinary delights and lively atmosphere. This is your day to relax and unwind in the most Bohemian of cities you will find. Its vibrant bustling streets and quaint cafes offer you a relaxing atmosphere to rejuvenate your batteries before our next Wild Atlantic adventures. Today’s adventure brings us to Connemara National Park and Kylemore Abbey. We will explore these majestic destinations, full of colourful scenery and wonderful history. In Connemara National Park, take the opportunity to hike to the top Diamond Hill before we head to Kylemore Abbey for a bite to eat and time to explore its incredible history and unique gardens. Later that afternoon, we commence our journey northwards passing Killary harbour and secluded picturesque lakes that line our path to the colourful town of Westport. That evening, we will experience this vibrant towns legendary musical talent and culinary exploits. You have the day to either relax, explore or take an adventure in picturesque Westport. It is famous for Croagh Patrick, Ireland’s holiest mountain and Clew Bay, which has an island for everyday of the year. The town is rich in historical areas of interest and a great traditional music scene. Departing Westport, we make our along the northern wild and rugged coastline of Mayo before arriving in Sligo, known as the town of abounding in shells. Take the opportunity to dip your feet into the wild Atlantic Ocean or catch some of the most renowned waves in the world. Whether you stand or not, you will definitely feel refreshed after your experience before sampling some of best culinary delights and famous sights of Sligo. Derry City is our destination today, as we head north exploring the wilds of Donegal with magnificent views of the majestic Slieve League Cliffs, which are although less famous than the Cliffs of Moher, reach almost three times higher, 601 metres (1,972 ft). We continue our journey around the dramatic northern tip of Donegal towards Glenveagh National park and Castle. Set in some 16,500 hectares of County Donegal mountains, you have the chance to discover picturesque lakes, wild glens and woods, a large herd of red deer and the 19th Century Glenveagh Castle. That afternoon, we make our way to Derry City, where you can explore its wealth of cultural and historical places of interest and experience its colourful cafes and bars. Today’s adventure is a real giant in many ways, as take you to the dramatic coastal setting of the Giant’s Causeway, a UNESCO World Heritage Site. Its setting is famed for its unique rock formation of of about 40,000 interlocking basalt columns, the result of an ancient volcanic eruption nearly 60 million years ago or being Irish of course, we have a different version of how the causeway was really built which involves two giants, a fight and a bridge. We won’t spoil the ending for you now as the story is best told at edge of the bridge!! Afterwards, we make our way to Belfast City, where you can have lunch, wander around its famous streets or take the opportunity to visit the Titanic museum, explore Belfast with a Hop-on Hop Off City Tour or take the amazing Black Cab Taxi Tour experience. That evening, experience Belfast’s vibrant city and legendary musical talent and culinary exploits. We depart Belfast and make our way back to the capital of Ireland, Dublin, where you have the opportunity to visit many of its historical attractions, jump aboard the Dublin Hop-on Hop-off City Tour or simply relax and explore its vibrant streets. It is also our journey’s end, where we bid a fond farewell full of happy memories that will last forever. Remember, Ireland is now your second home away from home!